He is noted for his contribution to the development of Teflon, including the first paper on the subject. In 1946 he spoke on behalf of DuPont at the ACS meeting at which Teflon was announced. Dean Thornton (Class of '52), is among the UI graduates who have provided leadership at Boeing and at UI. 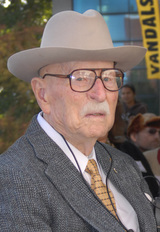 A former president of Boeing Commercial Airplane Group, Thornton retired from Boeing in 1994 and headed the fundraising effort for Engineering and Physics. That effort has resulted in the completion of the new Engineering and Physics Building on the Moscow campus. Thornton joined UI President Bob Hoover, Engineering Dean Richard Jacobsen, and Idaho State Board of Education member Roy Mosman in opening the new facility. John Richard Yarno, Jr. (born December 17, 1954) is a former professional football player, an offensive lineman with the Seattle Seahawks of the National Football League. 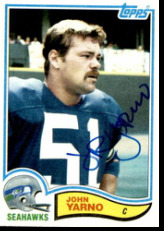 He was selected in the fourth round of the 1977 NFL Draft by the Seahawks, the 87th overall pick, and played for six seasons, from 1977 through 1982. Merle was an animator for The Walt Disney Company and lived in North Hollywood, California, for many years before moving back to Lewiston, Idaho, where he had been educated and graduated from high school. Over the years, when he would visit his family, he frequently spoke to students in local schools. In retirement he was always ready to create a personalized Mickey Mouse drawing for children who would visit him. Boyd Martin, son of an Idaho pioneer family, was born on the family farm east of Cottonwood, Idaho in 1911. He graduated from the University of Idaho in 1936 and went on to earn a doctorate in political science from Stanford University in 1943. Grace Swingler Martin was born in Spokane, Washington and grew up in Kamiah, Idaho where her family owned a farm and store. She attended Washington State University, and later graduated with a degree in English from University of California at Los Angeles. They married in December of 1933. 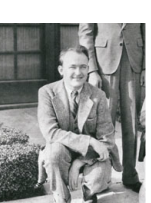 Boyd Martin was a graduate student at Stanford in 1939 when Hitler invaded Poland. He was certain that this would lead to another world war, so that evening he discussed the situation with his wife Grace and they agreed to take their life savings, some $800, and invest it with the goal of eventually beginning an institute to study the causes of war, and the conditions necessary for achieving lasting peace. After completing his doctorate, Dr. Martin returned to the University of Idaho as an assistant professor of political science. 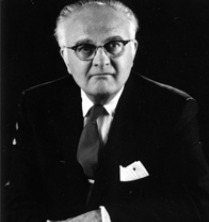 He went on to become head of the department and in 1955 was named Dean of the College of Letters and Science, a post he held until his retirement in 1973. The Institute was founded in 1979 as the Martin Institute of Human Behavior by Boyd A. and Grace C.S. Martin. Don Eddy is a retired professional engineer and consults with the aerospace industry. Don graduated from the University of Idaho in 1955 in mechanical engineering. 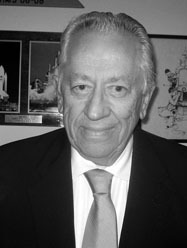 He went on to work for the Rocketdyne Division of Rockwell International Corporation for 37 years. Don’s expertise is in the design and development of liquid propellant rocket engine turbomachinery, hot gas turbine systems, axial and centrifugal flow pumps, and filter systems. While at Rocketdyne Don worked on the design and development of the Navaho, Jupiter, Thor, Atlas, and Saturn rocket engines. Don continues to consult in the aerospace industry. He has worked with Blue Origin, LLC the aerospace company formed by Amazon founder Jeff Bezos to develop technologies to enable human access to space at dramatically lower cost and increased reliability. Don most recently worked with Aerojet Rocketdyne as an independent review team member for United State Air Force’s Hydrocarbon Boost Technology Demonstrator (HBTD) and Upper Stage Engine Technology (USET) programs. 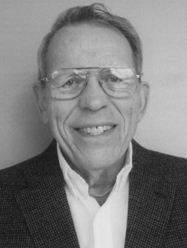 Burch Roark graduated from the University of Idaho in 1955 with a B.S in mechanical engineering. He received a football scholarship to the UI and played all four years at the position of tackle and guard. Roark was very involved in campus activities while at UI he is a member of the Phi Gamma Delta fraternity, was the president of the student chapter of the Society of Engineers (SAE) and served all four years in ROTC. Upon graduation Roark was commissioned a 2nd Lieutenant in the U.S. Air Force. Lt. Roark was honorably discharged from the U.S. Air Force in 1958 at the rank of Captain after serving both as a pilot and instructor pilot. Roark is an avid antique car enthusiast, he has organized antique car shows in Spokane and owns a 1912 Baker and 1911 2-cylinder Maxwell among others. He enjoys building scale model engines in his machine shop at home. Judge Harold L. Ryan, a conservative Republican with a love of the Idaho outdoors, spent his 13 years on the Federal District Court bench suppressing his strong personal convictions in a series of important environmental and other rulings. As one of only two full-time Federal judges in Idaho, Judge Ryan, who was appointed by President Ronald Reagan in 1981, presided over a wide variety of cases, many of them involving hotly debated social issues. While he recognized the need for a strong military, he did not hesitate to issue an order in 1993 that threatened the very existence of the Navy's nuclear-powered submarine fleet.